Successful letting at 69 Turnmill Street, Farringdon. 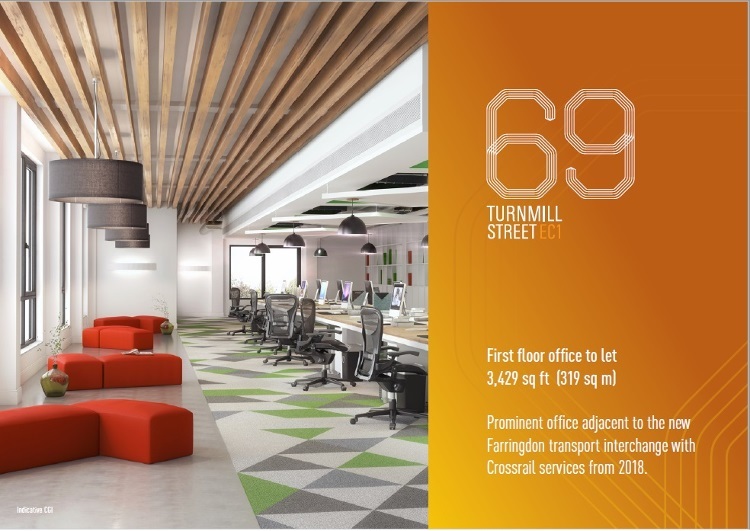 Anton Page are pleased to have been a part of the letting at 69 Turnmill Street in Farringdon, EC1, whereby NKD Learning Limited have taken an entire first floor office space for a term of 10 years. At 3,429 sq. ft., their new office space has an array of features including full height windows, a fully fitted kitchen area, exposed ceilings with ETAP light system, fresh air supply and extract system, raised access flooring and air conditioning. NKD provide organisations with programmes focusing on employee engagement, leadership, learning and development, allowing their staff to be more at one with the brand. They have notable outcomes including case studies of 10% increase in staff enagagement and 15% reduction in complaints, after their services. They will be using their new Turnmill Street office as their only London base. The prominent building is adjacent to the new Farringdon transport interchange with Crossrail services commencing in 2018. Along with this, the area is undergoing much redevelopment and is home to a wide variety of businesses, professions, charities and creative industries including Alexander McQueen, Air BnB, Amazon and Kurt Geiger. We have many other buildings and office space available in this neighbourhood, including on Clerkenwell Road and in the heart of Midtown, Holborn – all of which can be seen here.